One of my favorite things about blogging is the blogging community. 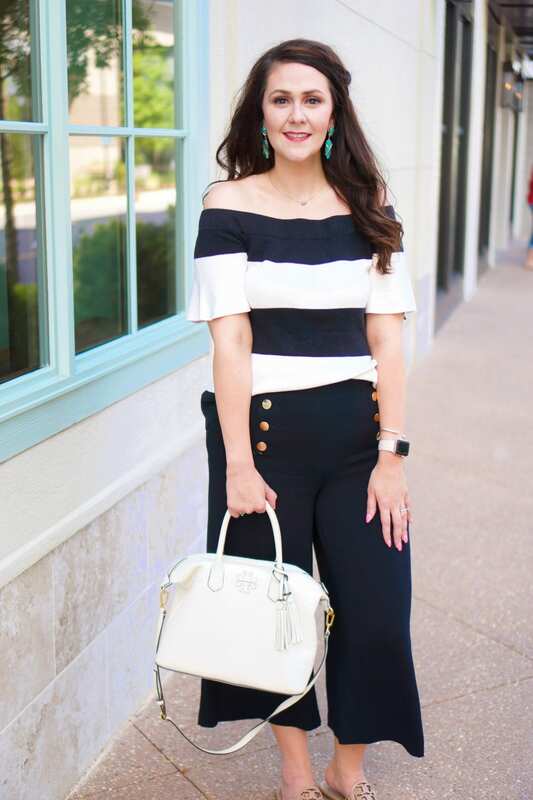 My blogging community has enabled me to connect with other bloggers, build friendships, and grow my readership through collaborations, linkups, etc. As a new blogger, it’s important that you focus on building your blogging community. Here are some important ways to build/grow your blogging community from Day 1. I love getting to know fellow bloggers and readers better through comments. That’s how some of my best blogging friendships started! Comments allow for discussion that builds on the content of the post. It’s your chance to discuss mutual interests or ask a question. I try to comment on each blog I visit. When I comment, I leave my name and blog website so that the blogger can visit my website if they wish to. Personally, I visit the blog of each and every person who leaves a comment on mine, and then I leave a comment myself. Why? As a blogger, you should think of a comment as your calling card. By leaving a comment, it let’s the other blogger know that I stopped by to say hi and check out their work. Plus, sometimes you find blogs you love by visiting after a comment–after all, they probably have some similar interest to you if they were reading your blog! I think Disqus is a wonderful tool for commenting. I talked all about Disqus in the 2nd post in this series, which you can read here. 1. If your post isn’t relative to the linkup, then don’t linkup. Seriously. For example, when I have a fashion linkup and you post about your latest craft, I’m probably going to delete your link. This is rude and shows great disrespect to your fellow bloggers. Find linkups that fit your blog content and post there–you will have a better chance at potential readers clicking through to your post that way. 2. If you take advantage of a linkup to grow your blogging community and readership, LINK BACK TO YOUR HOST(S)! A lot of work goes into a link-up, and you, the blogger, are benefiting from that link-up. I’m not saying you have to post the button for the linkup, but at least have I statement that says, “I am linking up with _______________ today,” and link back to the host’s blog. For every person we feature on the H54F linkup, we double-check to make sure they are linked back to us in their H54F post. If the potential featured blogger is not linking back, then we move on to the next blogger in line. 3. If you enter a linkup, then you should visit at least 3 other bloggers who have also linked up. Your comment can say something like “Stopping by from the linkup. . . .” The whole point of a linkup is to be able to connect with new bloggers. Grow your community by reaching out to others instead of just waiting for them to reach out to you or stumble across your blog. Social media is the third way you can build/grow your blogging community. I encourage you to follow other bloggers on Bloglovin’, GFC, Instagram, Twitter, and Facebook. Furthermore, when you see these bloggers’ posts on Instagram, Twitter, or Facebook, don’t just scroll on past–give it a like. If you really like what they’re posting, then share it. This is especially true on Facebook. Facebook has an algorithm that determines who sees a page’s posts. . . usually that is a very small # of actual followers of the page. It’s my understanding that the more like, comments, and shares a post on Facebook gets, then the more people will see the posts. I love doing collaborations because they allow me to (1) get my content in front of different readers and (2) introduce my readers to another blogger I love. You can team up on one post or a set of posts, or you can do guest blogging for each other. As a new blogger, it can sometimes be intimidating to reach out to other bloggers, but go for it! All of these are great ways to build your blogging community. I suggest using all 4 methods to establish and grow your blogging community, and, in return, your followers. 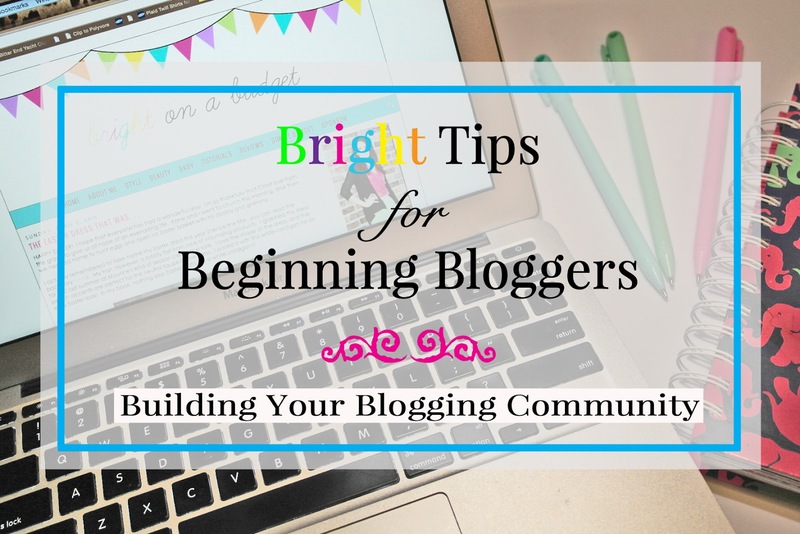 This is the 3rd post in my Bright Tips for Beginning Bloggers series. You can find the 1st post about how to start a blog here.